History: Middle aged man with a history of smoking, cough, and chest pain. 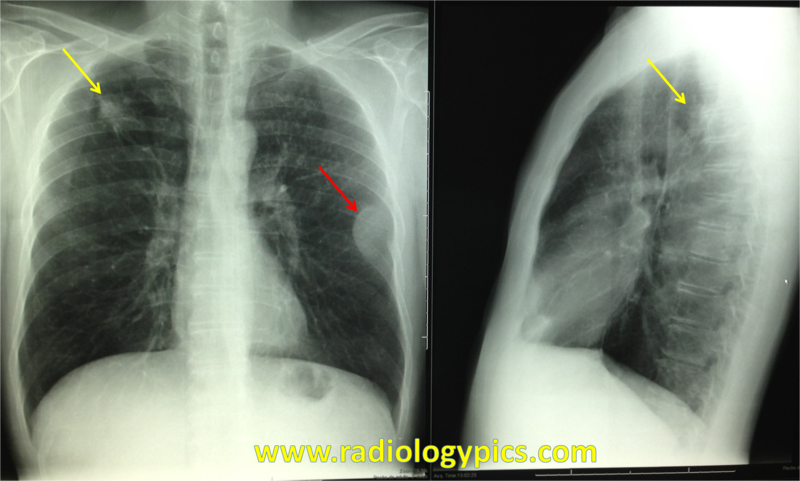 Lung Cancer – Frontal and lateral radiographs of the chest reveal a spiculated mass within the right upper lobe of the lung (yellow arrow). On the contralateral side, there is a soft tissue mass within a rib (red arrow), concerning for metastasis. This is a case of Lung Cancer with a metastasis to the contralateral ribs. 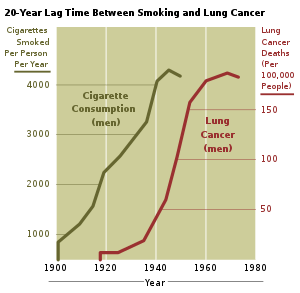 Any spiculated lung mass in a patient with a history of smoking should be considered lung cancer until proven otherwise. Read this article here regarding the differential diagnosis of a lung mass. Many thanks to Dr. Pilar Rodríguez Pérez from Spain for submitting this case! This patient’s lung cancer metastasized to his skull.